Online auditions are underway to find the final housemate for the forthcoming fourth season of reality show Big Brother Naija (BBN). The show’s producers are looking for Nigerians aged at least 21 and with a valid international passport. Candidates must also be subscribers to pay TV platforms DStv or GOtv. Auditions require them to submit a two-minute video of themselves explaining why they should be selected. Live auditions have already been conducted across eight different states in Nigeria. 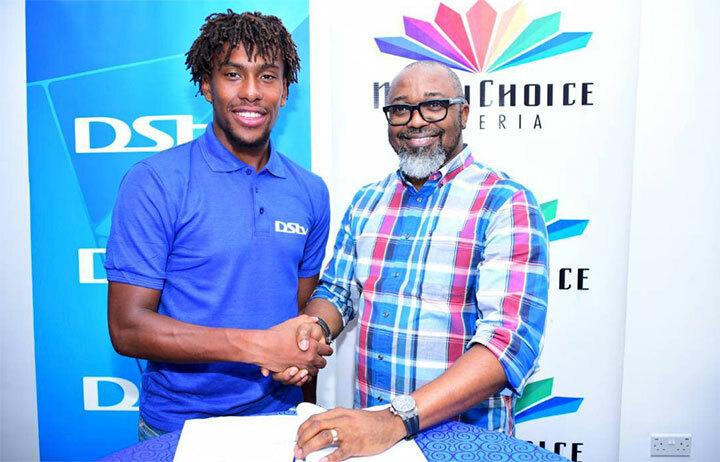 John Ugbe, CEO of MultiChoice Nigeria, said: “We are giving more Nigerians one more chance to be a part of the biggest reality TV show on the continent by introducing an additional online audition process. “We’ve seen how much the show continues to resonate with Nigerians and it’s our desire to create more success stories from the BBNaija platform. Big Brother Naija 2019 is sponsored by online betting platform Bet9ja. 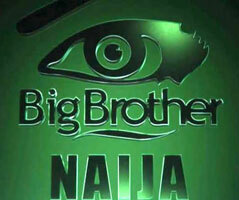 It is based on the Big Brother reality format owned by Endemol Shine Group. 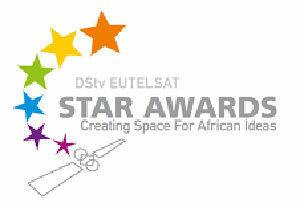 The winners of the eighth edition of the DSTV Eutelsat Star Awards essay and poster competition have been revealed. The essay category was won by Tirzah Ikiri of Zamani College, Kaduna, while the poster award was won by Prosper Okarike of Graceland International College, Port-Harcourt. The runner-up in the essay category was Micheal Okwutu of The Heavenly College, Lagos, while Wandoo Ayabam of Hill Crest School, Jos, was runner-up for the poster. The Nigerian winners can now compete to be crowned Africa’s best in both categories. The competition was open to students between ages 14 and 19 and over 70 entries were received. This competition was organised by Naspers-owned MultiChoice in partnership with European satellite operator Eutelsat. Nigerian pay TV platform GOtv is offering extra channels to its subscribers during an ‘open week’ to mark its seventh anniversary this month. From 19 to 26 October, more than 65 channels from the premium GOtv Max bouquet will be available to GOtv Plus subscribers. They will have access to content such as Fox Entertainment, Sony Max, La Liga football on SS Select 4 and CBS reality. John Ugbe, MD of GOtv parent MultiChoice Nigeria, said the need for GOtv to give subscribers more entertainment options led to the introduction of GOtv Max. He said: “We are glad to celebrate this milestone with our customers, who have always been the core of our business. This celebration is indeed a testimony to our commitment to put our customers at the heart of everything we do. As we continue to grow, we will continue to make improvements and add more value to our GOtv customers”. GOtv currently has four bouquets: GOtv MAX, GOtv Plus, GOtv Value and GOtv Lite. Broadcaster MultiChoice has released the names of 20 shortlisted applicants who have been selected to join the MultiChoice Talent Factory (MTF). Narrowing it down from about 3,000 applicants from Ghana and Nigeria, the MTF judges made their selections based on the candidates’ industry qualifications and their passion for telling the African narrative. 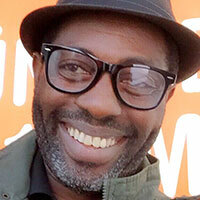 Femi Odugbemi, film director and producer and MTF regional director, said: “From the thousands of applications received, it’s evident there’s a strong desire to learn from and work with other African creatives. “Not only will the MultiChoice Talent Factory be a springboard to a career in the entertainment industry, it will also create a closely knit community of African professionals with a willingness to narrate Africa’s stories to the world,” he added. The shortlisted students include Nigerian candidates Idongesit Amba, Allen Onyige, Gilbert Bassey, Precious Iroagalachi, Nanret Paul Kumbet, Akpera Mnena, Umm’salma Saliu, Ugwu Uchenna Eileen, Sonia Nwosu, Moses Akerele, Metong Minwon, Bolaji Adelakun, Joseph Adeniyi, Kemi Tamara Adeyemi, Tochukwu Nwaiwu and Blessing Bulus. The Ghanaian candidates are Edmund Kobby Asamoah, Henry Konadu Denkyira, Irene Dumevi Yaamoakoa and Patience Esiawonam Adisenu. MultiChoice will sponsor the students’ tuition, accommodation and stipend for the duration of their training in the academy. The MTF academy will begin on October 1. John Ugbe, MD of MultiChoice, said: “As a company that is deeply rooted in Nigeria, we understand that many young, aspiring filmmakers have the capacity to learn and strengthen their skillset to give back to their communities but may not be financially equipped to do so. From next month, MTF students will begin to acquire new skillsets required to work in the television and film industry. At the end of the 12-month programme, they will be expected to produce content for TV and film that will air on M-Net channels as part of MultiChoice pay TV platforms DSTV and GOtv. MultiChoice, owner of pan-African pay TV platforms DSTV and GOtv, has launched a new initiative to boost the African creative industries. MultiChoice Talent Factory (MTF) is intended to improve the African film and television industry and comprises three parts: an academy, masterclasses and a portal. 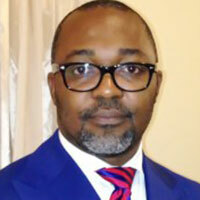 It began with the launch of a regional academy, which offers a 12-month educational curriculum, in Lagos. Others are located in Kenya and Zambia. Sixty applicants from 13 countries will be admitted to the MTF Academy, which will begin classes on October 1. Applications are currently open and will close on the June 5. MTF Academy students are expected to produce content for TV and film which will air on DSTV and GOtv. 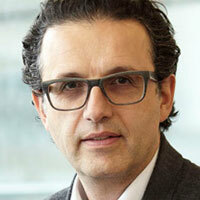 Pay TV company MultiChoice has held the fifth edition of its annual Digital Dialogue Conference in Dubai. The four-day conference saw media professionals and stakeholders discuss the future of Africa’s pay TV industry. The speakers included David Abraham, former CEO of Channel 4 in the UK; marketing innovation expert and futurist Paul Papadimitriou; Yolisa Phahle, CEO of MNet; Nollywood filmmaker Femi Odugbemi; and John Ugbe, MD of MultiChoice Nigeria. Discussing the amplification of African stories with digital technology, Yolisa Phahle said that creative innovation in local content is what keeps viewers interested. “You speak to any of the people involved in the early days of MultiChoice, one of the things they remind me of is the absolute necessity to not just understand what the future holds but to shape the future, to be a disruptor and, if necessary, even to cannibalise yourself. ‘Why launch GOtv when you already have DStv?’ for example. But MultiChoice Africa was launched by people who were creating a media company not for the present, but one for the future,” she said. According to her, creating local content in languages audiences understands is what makes content king. Emphasising the necessity for local content, she said that MultiChoice ensures it keeps all of Africa informed by producing 16 local content channels across the continent which showcase local storytellers. “Today, in the midst of the digital revolution, collectively we have the opportunity to not only tell stories that educate and inform African audiences, but the digital age means we are in a position to take African stories to the world and create a global market for what we do. “By using the internet and leveraging technology, we have the ability to reach audiences at a global level and the success of companies like Iroko TV, artists like Davido, actresses like Lupita N’yongo and the movie Black Panther are confirmation that the world is ready to consume African stories, celebrate African culture and embrace African languages,” she said. Agreeing with Phahle, Peter Papadimitriou highlighted reasons why pay TV companies should put consumers’ interest above all else. “The current challenge for pay TV companies is to shift the focus from content delivery systems to understanding its consumers through primary data. For instance, when they watch, how long and how much,” he said. Abraham discussed the plight of both pay and free TV. The pay model is about a battle between free TV and service providers’ creating pay walls and maintaining exclusivity over key content in order to promote monthly subscriptions and minimise loss of customers, he claimed. But now, broadband, as an additional service, and mobile phone technology is threatening this. The advent of telecoms service providers raised the question of whether consumers will be able to shuttle between so many providers to find the best content. “The African continent, with its younger populations and progressive use of mobile, can both build on and leapfrog Western markets in terms of future models of content creation and distribution,” he said. The Digital Dialogue Conference is an annual event organised by MultiChoice Africa. Since its inception in 2012, it has become a thought leadership platform that fosters a better understanding of the future direction of Africa’s pay TV industry. Pay TV operator MultiChoice has announced that the sixth edition of the Africa Magic Viewers Choice Awards (AMVCA) will take place on September 1 this year. Entries for the AMVCAs will begin on March 1 and end on April 30. Only films or TV series that were broadcast or publicly screened during the period October 1, 2016 to March 31, 2018 are eligible for entry. This year’s award ceremony is sponsored by Konga and supported by Nokia and Heritage Bank. In all there will be 27 award categories, seven of which will be open to the public, the remaining 20 categories will be deliberated upon by the AMVCA panel of judges. The categories will include; best actor/actress, best director, best scriptwriter, best short film, best movie soundtrack and best costume design. 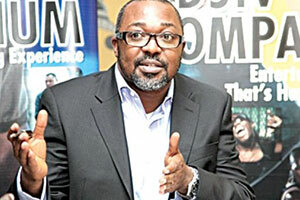 John Ugbe, MD of MultiChoice Nigeria, added: “We have been inundated by calls from filmmakers across Africa, with everyone asking when the AMVCAs would return for another edition. “After a brief hiatus, we are thrilled to announce that 2018 will indeed mark the sixth consecutive year of MultiChoice and Africa Magic successfully hosting the AMVCAs and we remain proud of the improvements seen in the industry since the inception of the awards as we know that these cannot be ignored or overstated. The AMVCAs debuted in 2013, with the aim of celebrating the contribution of African filmmakers, actors and technicians in the success of the continent’s film and television industry. It has since become a prestigious annual award event that the film and television industry look forward to. According to an AMVCA representative, this year’s event is being held in September rather than March because of the ongoing Big Brother Naija show and upcoming Fifa World Cup, which would clash with its awards if they were held in March, as previously.